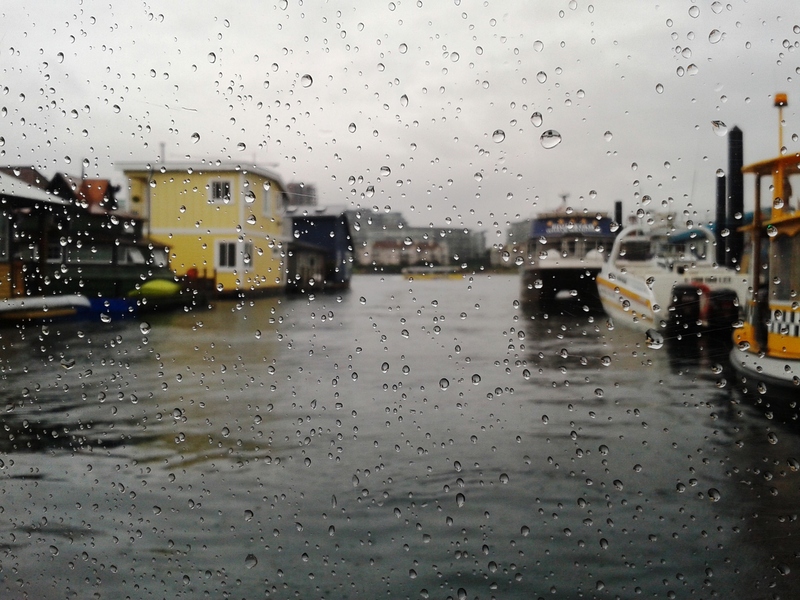 Image | This entry was posted in Places/Travel and tagged boats, British Columbia, Fisherman's Wharf, floating homes, houseboats, rain, Victoria, Victoria Harbour, water. Bookmark the permalink. Trippy. The water on that lens makes think that I am THERE. Thanks, Jocelyn! The water drops are actually on the window of the water taxi I was in.